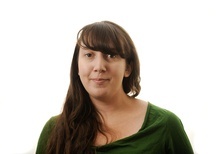 Jordain Carney is a defense reporter at National Journal. She previously worked as a staff writer for the Hotline, covering congressional and gubernatorial elections in the South. Jordain graduated from the University of Arkansas with a bachelor's degree in English, political science, and journalism. Obama Wants to Close Guantanamo. Will a GOP Senate Let Him Do It? Will a GOP Senate Let Obama Close Guantanamo? Will Sexual Assault Reform Derail the Defense Bill?